An area in the hills north-west of Whangamata is now being logged and we need people to stay clear of the pine forest area between Watts Road and Dalton Road – for their own safety. If you ride your bike, walk your dog, hunt or run in this area, please use an alternative route for about the next four months while tree harvesting is taking place. Signs have been placed on Pa Road, Watts Rd and Dalton Rd to let you know that access to this area is temporarily restricted so you don’t get hit by a logging truck or a falling tree. The restriction is in place 24/7 while the logging is taking place. Banners, felled logs and gates will be blocking road access so for your own safety please don’t cross these. 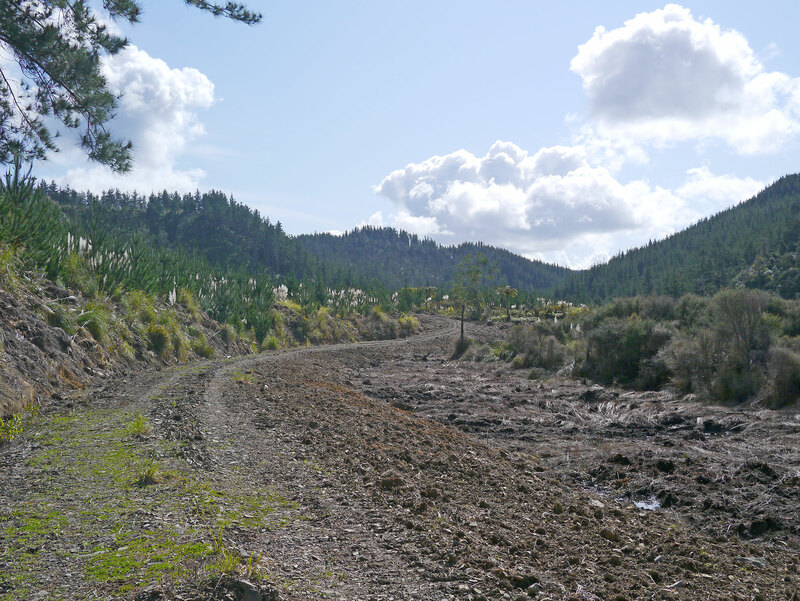 The tree harvesting is being managed by Matariki Forests, which is asking that people pay attention to the signs and follow the instructions on them, to stay out of the risk zone. Our Council leases the land from the Crown and we’ve contracted Matiriki Forests to carry out the harvesting. The Thames Coromandel District Council has unveiled its new district plan. It can be seen here. This plan affects us all, it contains rules and objectives specific to our region and is the result of two years of consultation. The document is comprehensive but it’s worth taking the time to explore it fully. A FIRE WARNING FROM THE CHIEF: Please be aware that there is a total fire ban in place for the whole Coromandel peninsula, this means no open fires of any kind, including fireworks. The El Nino weather pattern is expected to bring very dry conditions to the area this summer and the Onemana Volunteer Fire Brigade will be patrolling in the village and along the beach every night. For further information visit the TCDC website. Call Jo Adams, 0274493034 with any questions, or to dob in your neighbours when they let rip with the sky rockets on New Year’s eve. ROAD SAFETY: There is now a bright red band painted on the road as you enter the 50km zone from the main highway, please take note and reduce your speed as you travel through Opoutere. DOTTEREL WATCH: There is a roster on the bus shelter noticeboard, sign up and help us protect the dotterels on the spit at low tide during the busy holiday period. DOC’s dotterel ranger reports that several cats have been caught, predatory black backed gulls were culled and as a result we have a good number of dotterel chicks. It’s now so critically important to reduce disturbance from people and dogs so that these babies can fledge, that’s where the dotterel watch team comes into play. Volunteers stand by the sign at the north end of the sandpit on the estuary side and divert people over the boardwalk rather than around the spit, this ensures the dotterels and their chicks can feed at low tide. The dotterel ranger’s name is Frouk Miller and she can be reached on 027 285 6519. At this time of year dogs are totally banned from the Wharekawa and Ohui ends of Opoutere Beach, if you see a dog on the spit please call 07 868 0200 to be put through to the TCDC dog ranger. Read on for more detail regarding dog control bylaws. DOG RESTRICTIONS: Current TCDC bylaws clearly state that between the Saturday of Labour Weekend and 1 March dogs are banned at the Wharekawa and Ohui ends of Opoutere beach, check the maps in the carpark for the exact areas. From mid-December to early February dogs are banned on the entire beach between 9am and 4pm.As mentioned above – to talk to the Animal Control team call 07 868 0200 and you will be put through to them. Dogs are banned on the following beaches and their associated reserves between 9am and 7pm from December 15 to February 8 and between 9am to 4pm on other holiday weekends. 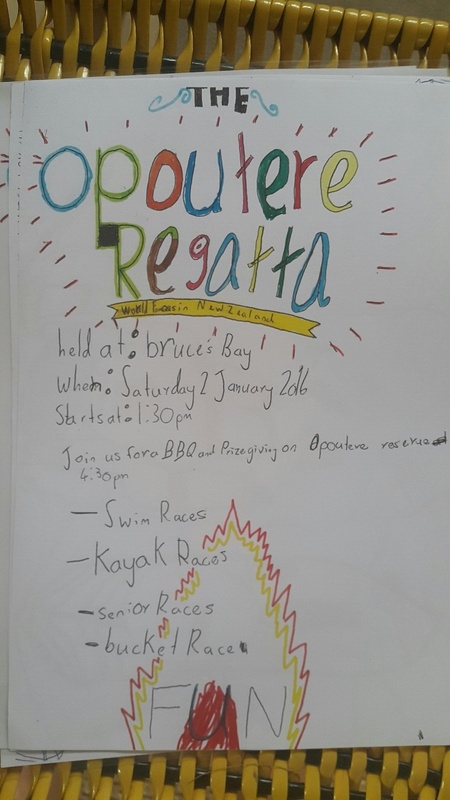 THE WORLD FAMOUS OPOUTERE REGATTA: Come to Bruce’s Bay (just by the 25km bend in the middle of the village) at 1.30pm on Saturday January 2nd for the 2016 Opoutere Regatta. 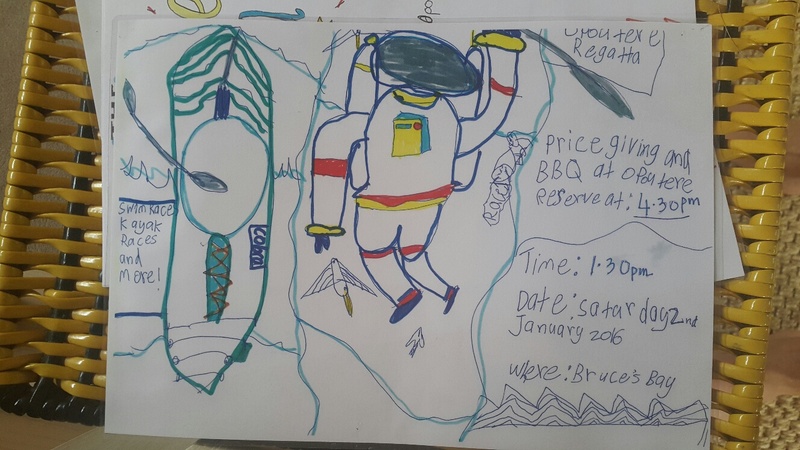 There will be swimming and kayaking races for young and old, followed by prize giving and a bbq on the Michael King Reserve at 4.30pm. Bring cash for the bbq which helps our local rural fire team. You may find one of these colourful flyers in your letterbox! Thanks to our fantastic regatta organising committee! OPOUTERE RATEPAYERS AND RESIDENTS AGM 2016: Saturday January 2, 9.30am, Opoutere School. Please note the earlier time which accommodates the Opoutere Regatta which is scheduled for that afternoon. Have a wonderful summer holiday everyone! What better way to mark Labour Weekend than with a Weedbusting Working Bee! Chris Woudenberg has sent out his call to arms, so grab some hand tools and safety gear and join us in the bush below the North East side of the Maungaruawahine summit. We are still tackling the awful elaeagnus that is thriving in the native bush, it’s thorny stuff and you will need long sleeved shirts and long pants to protect your skin. 1pm til mid-late afternoon, any help for any length of time will still make a difference. Park in the cemetery paddock 300m past the Youth Hostel, Chris will have his car parked in there so look out for him. From there follow the yellow rope up into the bush, listen out for the roaring of chainsaws! Fuel for power tools – important! Please do try to come along for a little while, it’s a huge job but we are making visible progress (have a look from the carpark bridge) and our native bush can now regenerate and provide food for all the birdlife. Our dotterels have paired up and are well into their nesting season. Please keep yourself and dogs well away from any nesting sites, especially when there are signs and roped off areas visible, the nests are so vulnerable when the parents are scared off them. I can’t believe 6 weeks have flown by already. It’s been a hectic and somewhat stressful 6 weeks for me trying to get familiar with all the beaches, find out the nesting places of our wonderful birds and trying to meet and get to know a few of you. One thing is for sure…I cannot say enough how valuable our minders are and what a fantastic job you all do out there. I’m truly overwhelmed by your input and efforts. We’ve had plenty of action in some areas, and birds taking their time in others. Simpson’s Beach went off like a rocket and we’ve had 7 pairs nesting there. About 11 chicks have hatched but we have lost around 4. Lots of trapping in place and trying to do what we can to keep them safe. Another 3 chicks have hatched at Pauanui and to date they’re growing well. We’ve lost a fair few eggs from nests and pairs looking very forlorn on the beaches, but also lots of eggs in nests waiting for D-day. Within the next week or two we have a number of clutches due to hatch. I have found that the Black-backed gulls are one of my biggest problems. I try not to disturb nesting Dotterels especially when these gulls are hovering. I witnessed one swoop down on a nest and take it’s only egg!! We’ve caught a few feral cats and minders are reporting good trapping numbers on stoats and hedgehogs…keep up the great work! With Labour Weekend upon us this weekend I hope we are able to keep some control over dogs and people on beaches near fenced Dotterel sites. If there are any concerns please let me know. It’s also the start to a week of spring tides…26th October to 2nd November. Again, let me know of any concerns you have regarding possible nest difficulties near high tide. It’s been a pleasure meeting the people I have, we’ve even recruited a few new minders. Although extremely stressful at times and long days trying to get around all the beaches, I have truly fallen in love with these devoted and brave little birds. They have definitely got the better of me most of the time with their dramatic displays and aloof attitudes. Lisa Kearney is now also on board and will be looking after Otama, Opito and all beaches north of Coromandel township for now. A grateful welcome Lisa! I hope you manage a restful Labour Weekend yourselves and with thanks I also say ‘keep up the great work’. Ok, so we have a tsunami THREAT issued for Coromandel. This is just a THREAT (this means that you all can still chill out because it just means we are going to keep an eye on it). – If your local Civil Defence gives instructions, please just do it (they want you to be safe). The THREAT is in force until the big cheese at the Ministry of Civil Defence says its over. We will keep updating our page when new info comes in. Since the 1990’s undergraduate students from the University of New Hampshire have visited Aotearoa to study with the EcoQuest Education Foundation. Part of this study involves a field trip to Opoutere where the students engage with our environment not just in a learning capacity but in a directly beneficial way. Next week’s visit coincides with “Keep NZ Beautiful” week and the EcoQuest team will be conducting clean ups as they are visiting various locations around Opoutere. The EcoQuest Education Foundation is a Private Training Establishment and a Registered Charitable Trust, based in Whakatiwai on the Kaiaua Coast. The Vision of the Foundation is: “Catalysts for sustainability through education and research”. EcoQuest has a long-standing partnership with the University of New Hampshire, and provides semester and summer programs for undergraduate students from the US. Current programs are focused on applied field studies (ecology, restoration and environmental policy) and research (www.ecoquest.unh.edu ; https://www.facebook.com/pages/EcoQuest-Education-Foundation ). 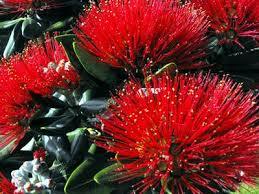 Semester students are in Aotearoa for 15 weeks. Through practical field work our students learn how to investigate and assess biophysical patterns and processes. During this week, students also have a chance to investigate related topics; they work in small teams and we conclude the week with peer- teaching sessions in the Opoutere Hall. Since it is officially “Keep NZ Beautiful” week (http://www.knzb.org.nz/ ), EcoQuest will be going the extra distance to help clean up areas in which we are studying and working. Service learning and engaging with community are important parts of the experiences of our students while they study with us in New Zealand. We are often involved in planting days (some of the pohutukawa by the Kapakapa stream were planted by EcoQuest students more than 10 years ago), releasing seedlings, or with monitoring activities. All our research projects have scientific and societal relevance, and help to improve our understanding of natural resources, restoration activities and how science and policy interact. Say hi to the team if you see them around, we are honoured to have them keeping an eye on our precious neighbourhood. Come along to the southern entrance near Kapa Kapa bridge, parking can be found along Kapa Kapa Rd. Bring a spade and a mug, gumboots and a waterproof jacket. Refreshments will be provided – tea/coffee, hot soup, sausages and bread. This is a fantastic initiative that the WCCG have spearheaded, if you have any questions about it please call Jethro Dyer at Opoutere School, 07 865 9077.